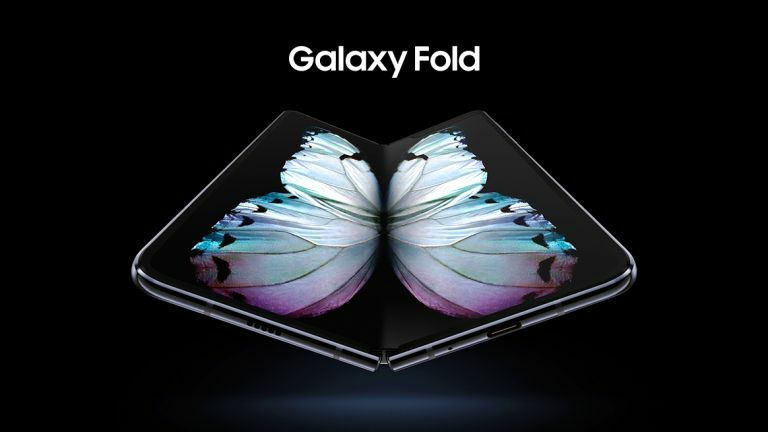 Samsung Galaxy Fold will be available to pre-order on April 26 ahead of the first foldables appearing on shelves nationwide on Friday May 3, 2019. The hotly-anticipated handset was first unveiled during Galaxy Unpacked last month, alongside the Galaxy S10e, Galaxy S10, Galaxy S10 Plus, Galaxy Watch Active and Galaxy Buds. Since that event, the Galaxy Fold has been kept under lock-and-key – appearing on the Samsung stand at the Mobile World Congress tradeshow last month, albeit inside a big glass case with a fixed light source. That has led to rampant speculation about one of the biggest unknowns about the Galaxy Fold: its screen. While we've already been allowed to get out greasy mitts on the Huawei Mate X, Samsung has kept its rival foldable at arms length at all times. And we thought we knew exactly why when a video published earlier this month revealed what the Galaxy Fold might actually look like in the flesh. The clip, which seemingly originates from Vietnam – where a lot of Samsung R&D work takes place, was spotted by Samsung-centric blog SamMobile and shows a whopping great crease that runs down the middle of the AMOLED Infinity Flex display. This was the first time that we'd had an unfettered look at the fold that runs down the centre of the 7.3-inch display and it appeared like it would be very noticeable when you're watching a movie or reading on the pliable screen. However, Samsung says that we've got nothing to worry about. Ahead of pre-orders for the £1,799 next-generation Galaxy smartphone going live next month, a spokesperson for the South Korean company has confirmed that the device in the unofficial video from Vietnam is not a final production unit. The smartphones that will start appearing in stores on May 3 will not have a visible creased on the display, Samsung confirmed. Speaking to the aptly-named Foldable News, Samsung spokesperson Cella Sin said: "The device used in the YouTube video may have been a prototype or rejected production device. We don’t know. "But what we do know is that the phones going to the end-users will have no crease whatsoever. Not even when the display is off, or all white." That's likely to reassure prospective buyers who were getting cold feet because of the unsightly crease on the Galaxy Fold in the video. And if that isn't enough to put your mind at ease, Samsung has published an official video to illustrate the rigorous testing that its Galaxy Fold smartphones undergo in the lab. The new footage shows a test designed to examines whether the Galaxy Fold can outlast 200,000 folds and unfolds – that's around five years of use, if used 100 times a day. From start to finish, the process takes a full week to complete. Samsung says it has subjected its next-generation handset, which is part-smartphone, part-tablet, to several rounds of extensive tests in its state-of-the-art reliability labs to make sure that the Galaxy Fold is ready to come to market. Interesting, the Huawei Mate X avoids the crease dilemma completely by keeping the foldable screen on the outside of the handset. By wrapping the flexible OLED around the outside of the hinge, the fold does not need to be anywhere near as severe as the Galaxy Fold, which has a design that requires the screen to fold almost in half. Samsung recently confirmed that all Galaxy Fold phones will ship with a complimentary pair of Galaxy Buds and a slim-design protective Kevlar case.